Due to the legal reason you may want to remove all event data from our servers, including guests pictures, time of arrival, check-in timestamp etc. 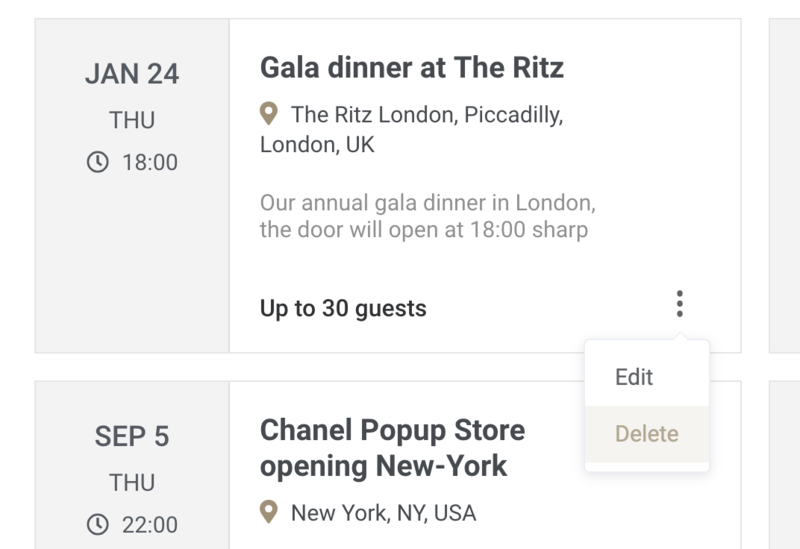 It is possible to delete just the event data without actually terminating your account on Eventor.app. To delete all event data, go to the dashboard and expand the menu in bottom right corner of the event card. Press the button Delete. After confirming the deletion all event data will be removed from our servers within 24 hours. Please remember that this action is permanent, so no data restore will be possible. If you accidentally deleted your event please contact our support immediately. If you will be within 24 hours grace period, then we will still be able to restore your event. At that point only Expert events with priority support can be recovered.